Each April, “The 8 Team” forms to pick up litter along the section of state highway on Route 8 near Unadilla Valley Central School, which is approximately two miles long. Link to photos. Contact St. Theresa’s Church to get involved. 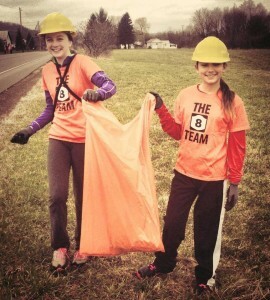 On April 18, the 8 Team picked up litter along the section of state highway near Unadilla Valley Central School, which is approximately two miles long.